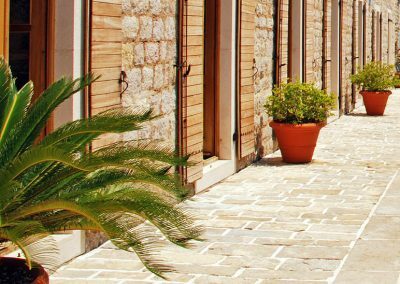 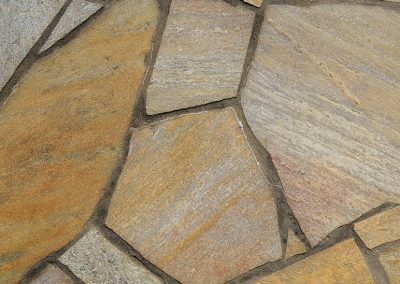 Flagstone, often referred to as flag by industry professionals, is a flat stone whose edge is often left natural or cut into a rectangular or square shape and is typically used on walkways, patios, flooring, and walls. 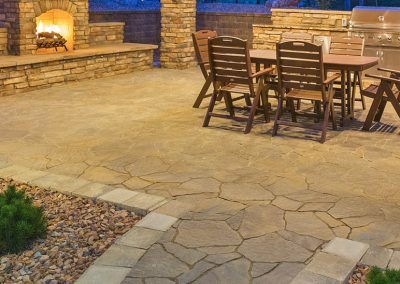 Prized for its variation in color, versatility, durability, and natural look, it can be found in many homes throughout Santa Maria and the Central Coast. 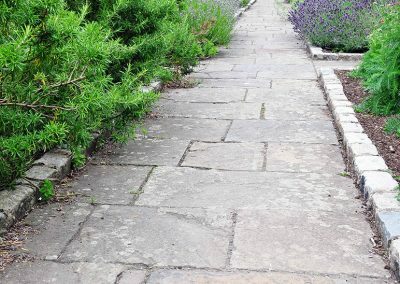 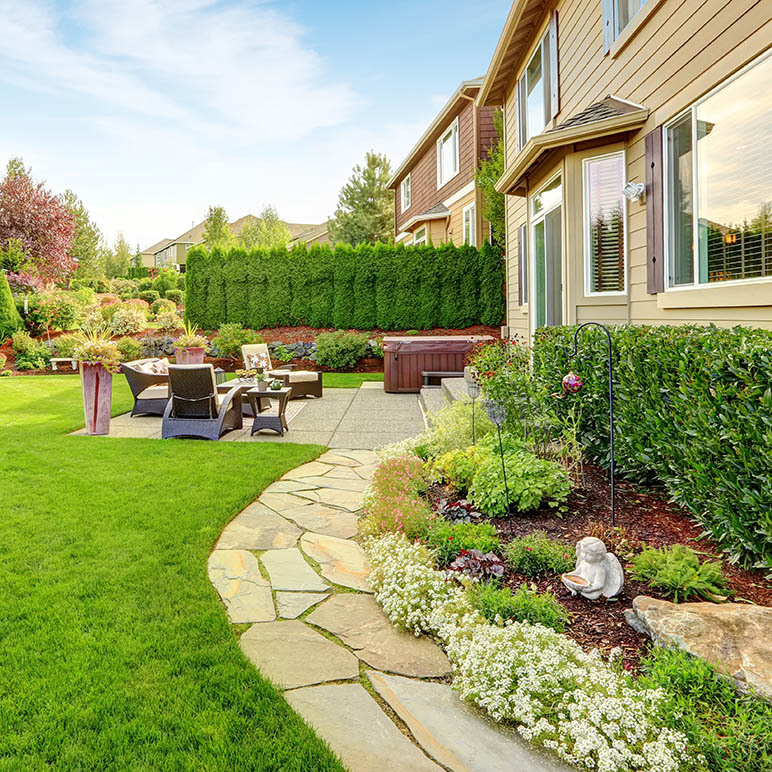 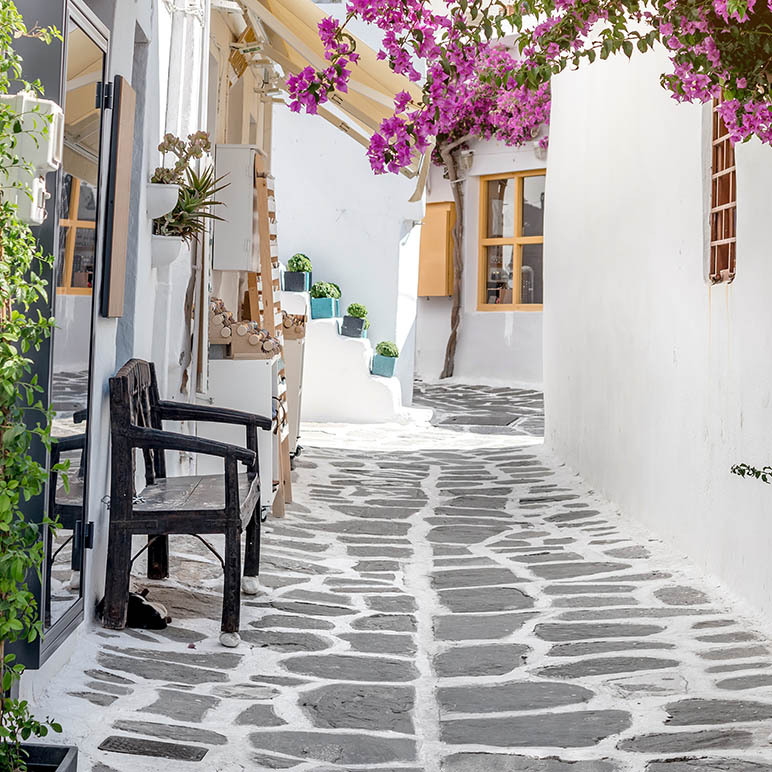 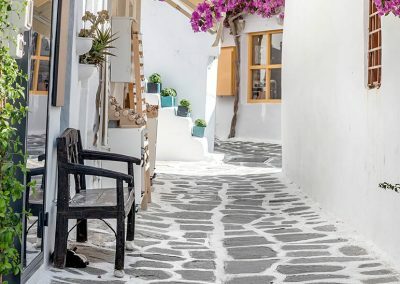 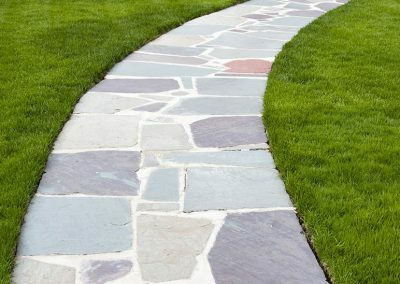 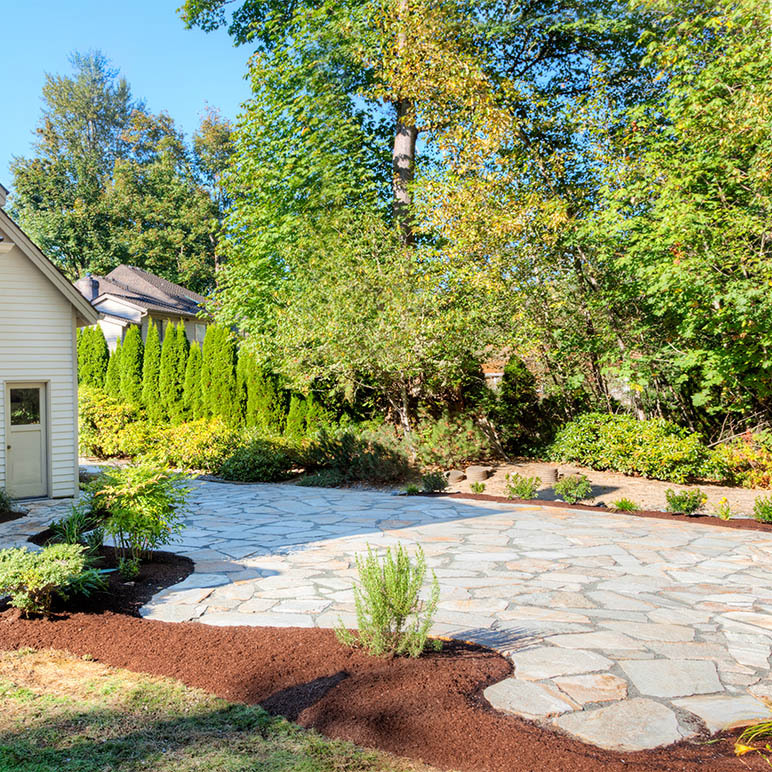 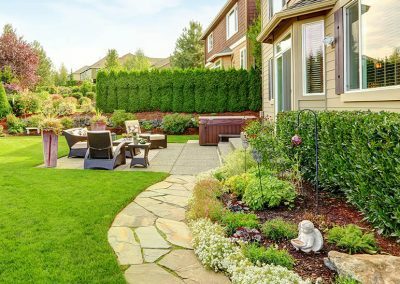 The gaps between the stones can be filled with mortar for a smooth surface or filled with hardy ground cover like moss and grass for a more casual, organic appearance. 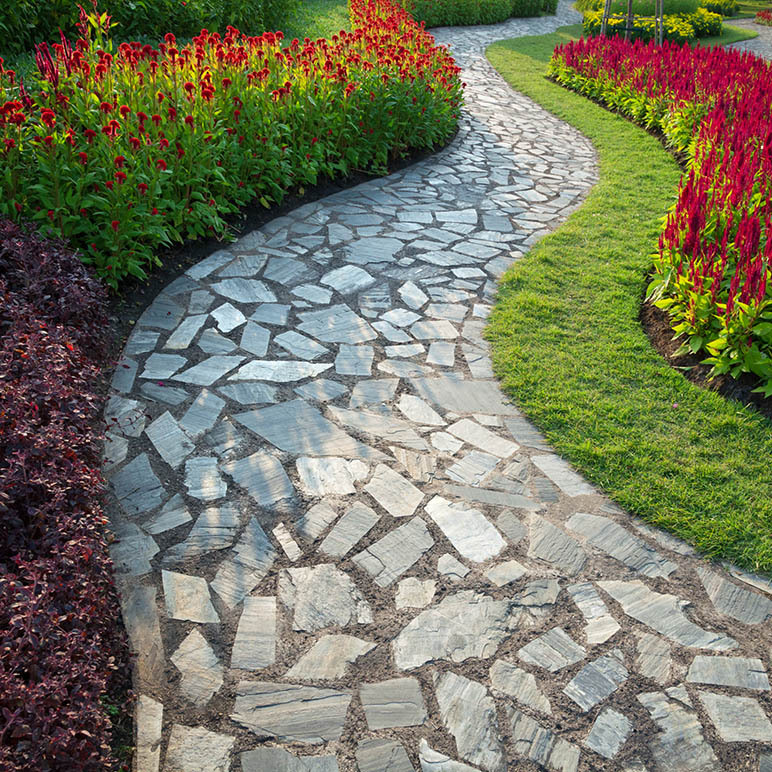 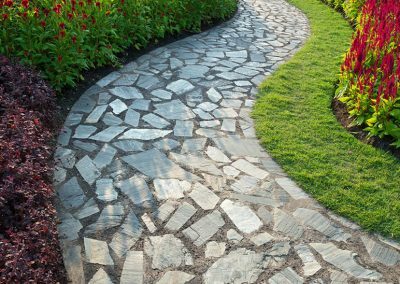 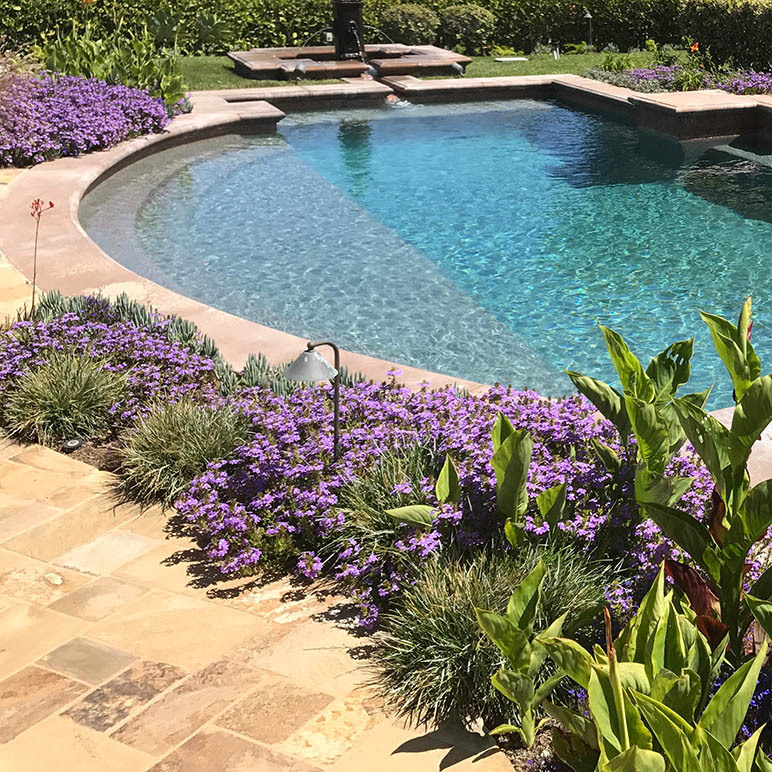 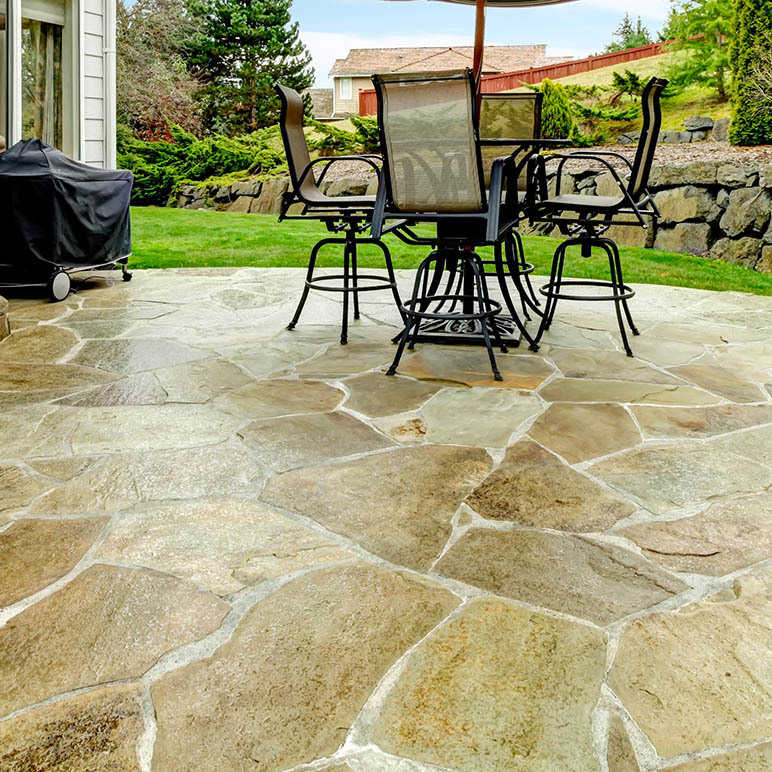 If you’re researching to see if flagstone is the right choice for your home, give R&E Concrete Company a call at (805) 621-3966 and one of our helpful flagstone experts will set you on the right path. 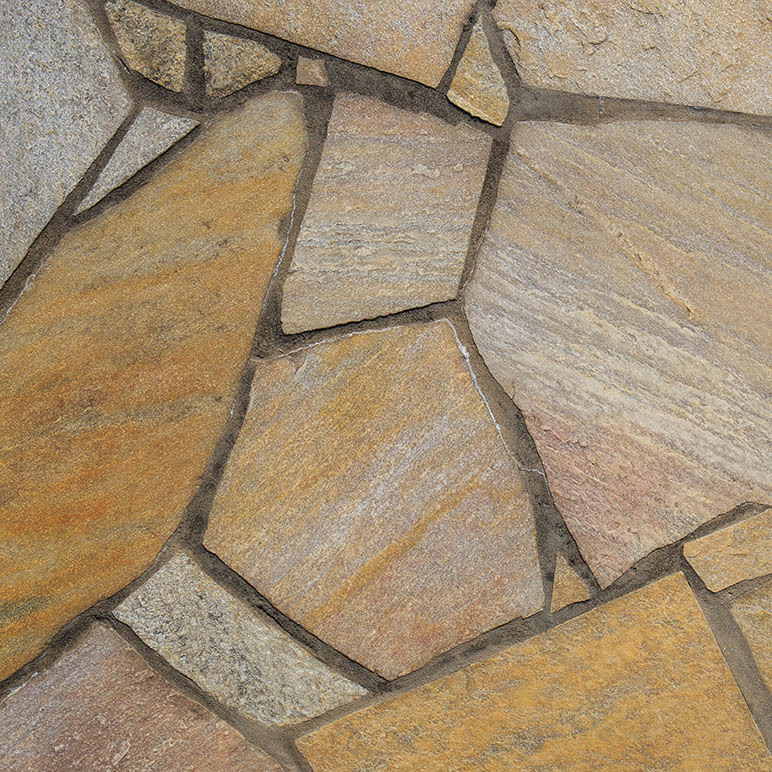 Flagstone is a great choice for surfacing courtyards and steps. 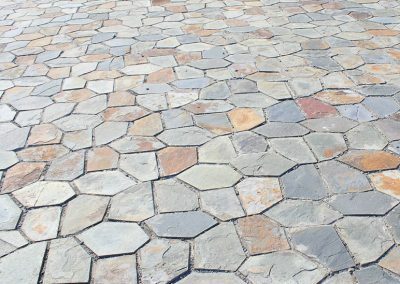 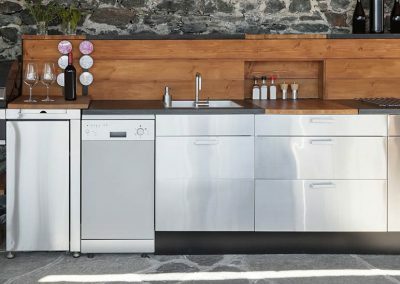 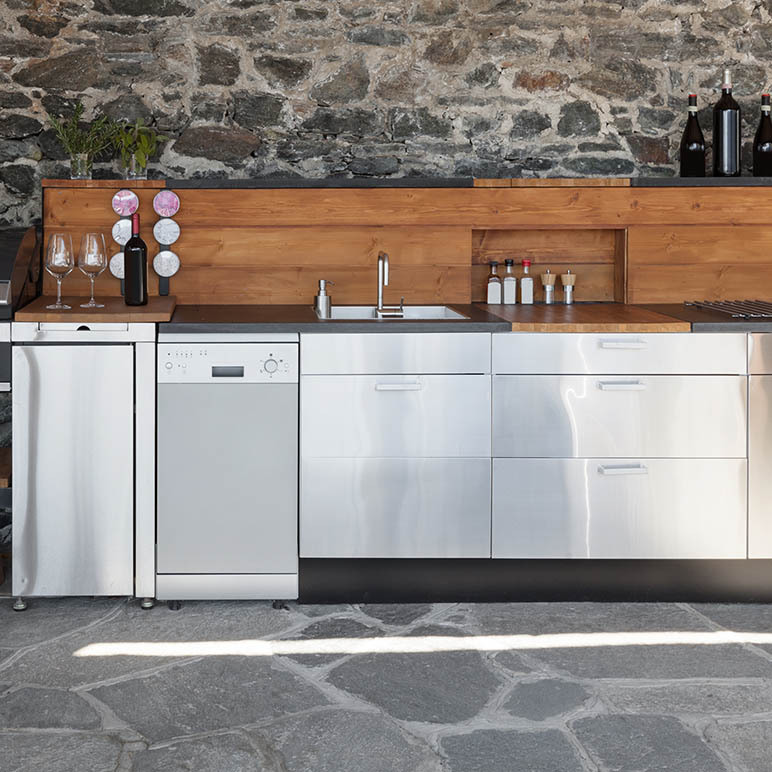 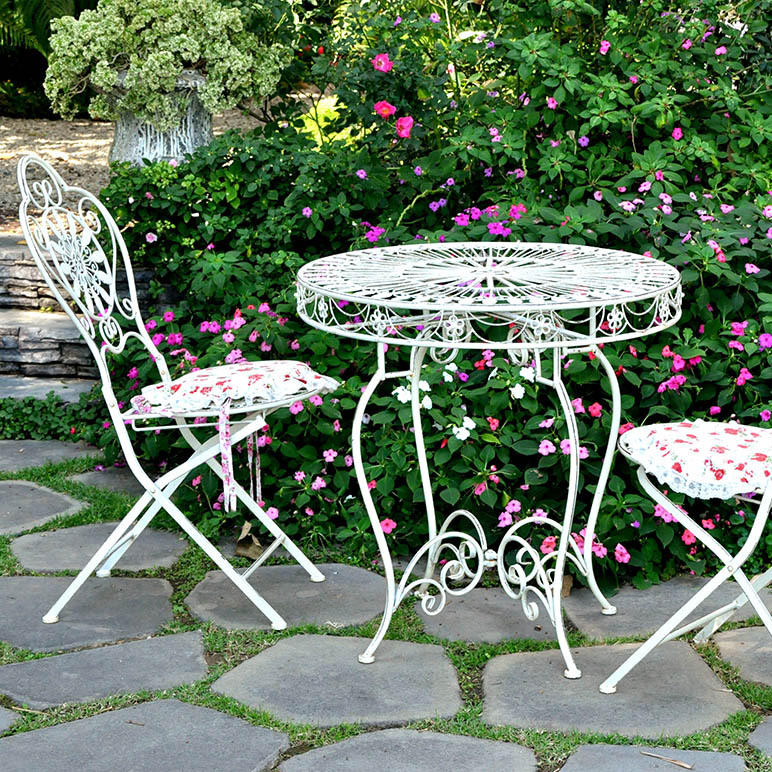 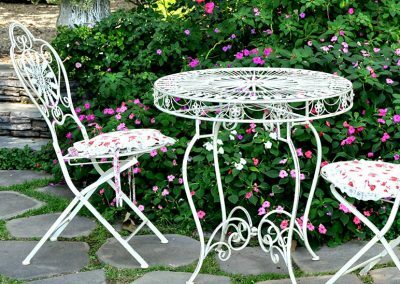 Its durability and rich, natural color make it an excellent choice for creating unique and traditional patterns or upgrading spaces that see heavy foot traffic. 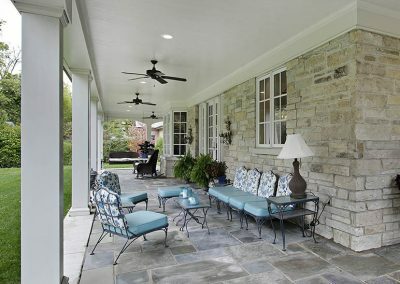 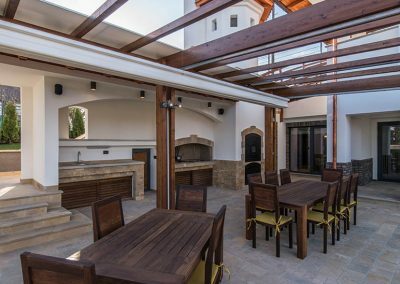 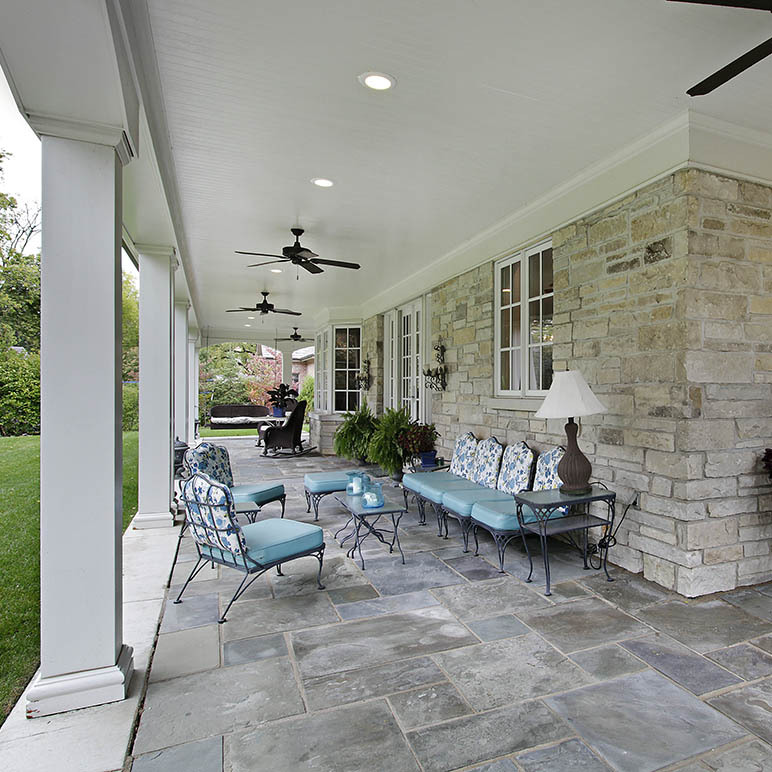 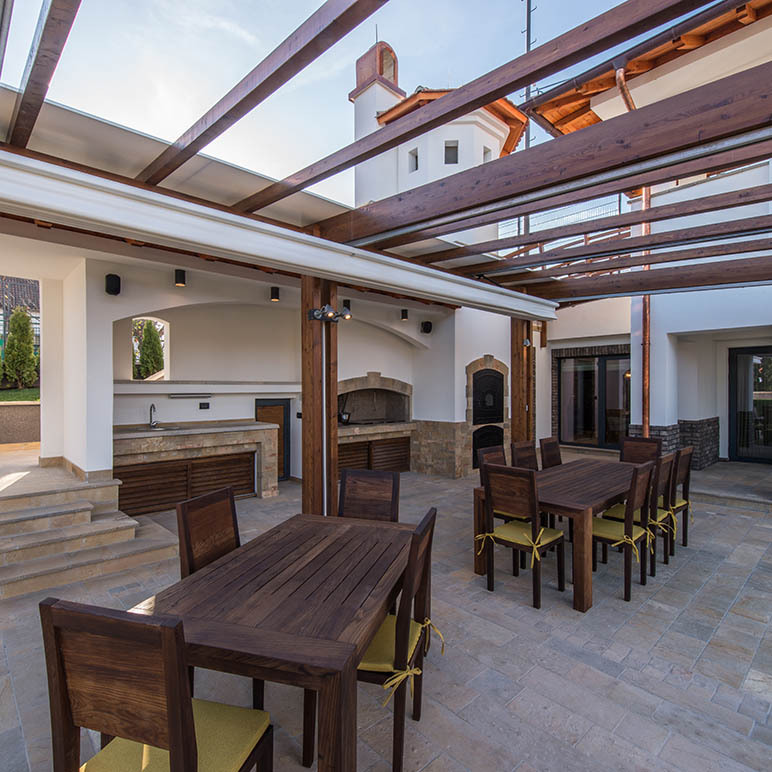 A timeless choice for patios and covered porches, flagstone can elevate any residential or commercial setting, creating durable elegant spaces that bring both beauty and value to your project. 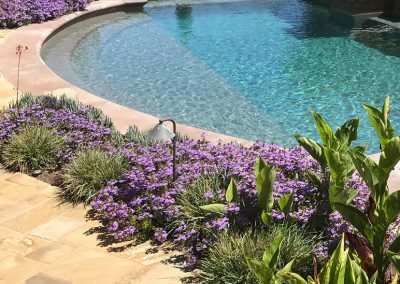 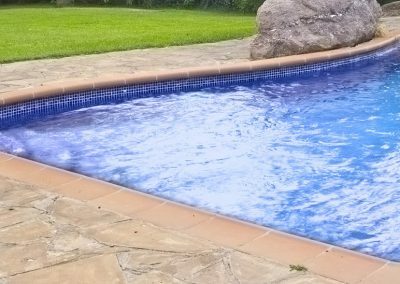 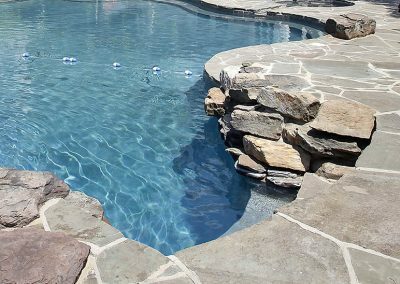 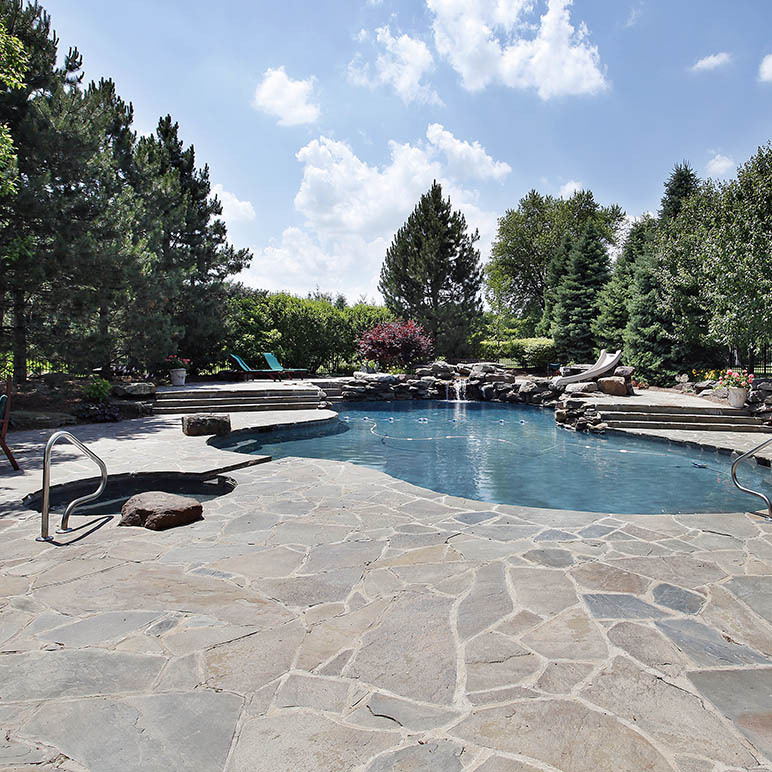 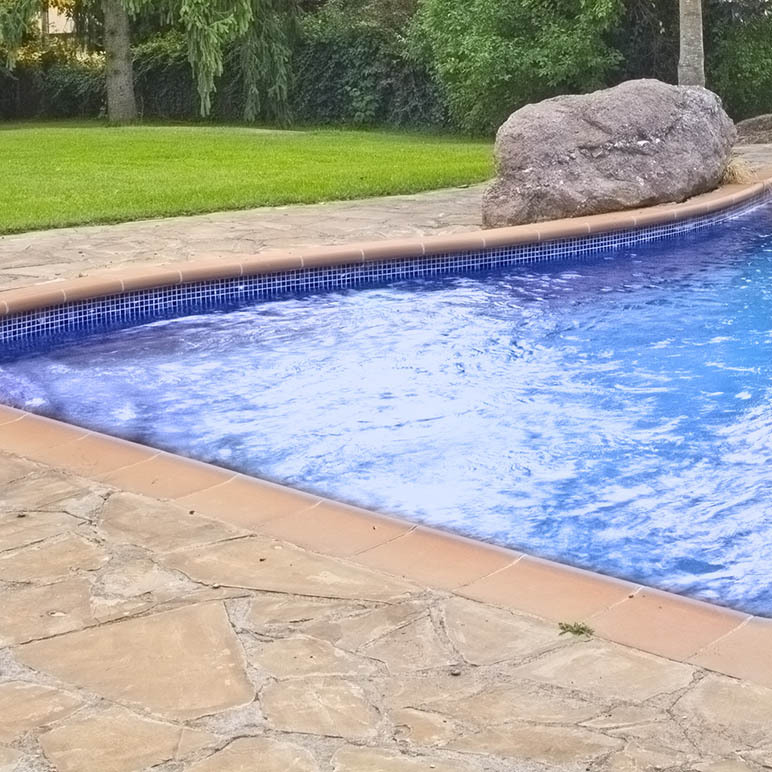 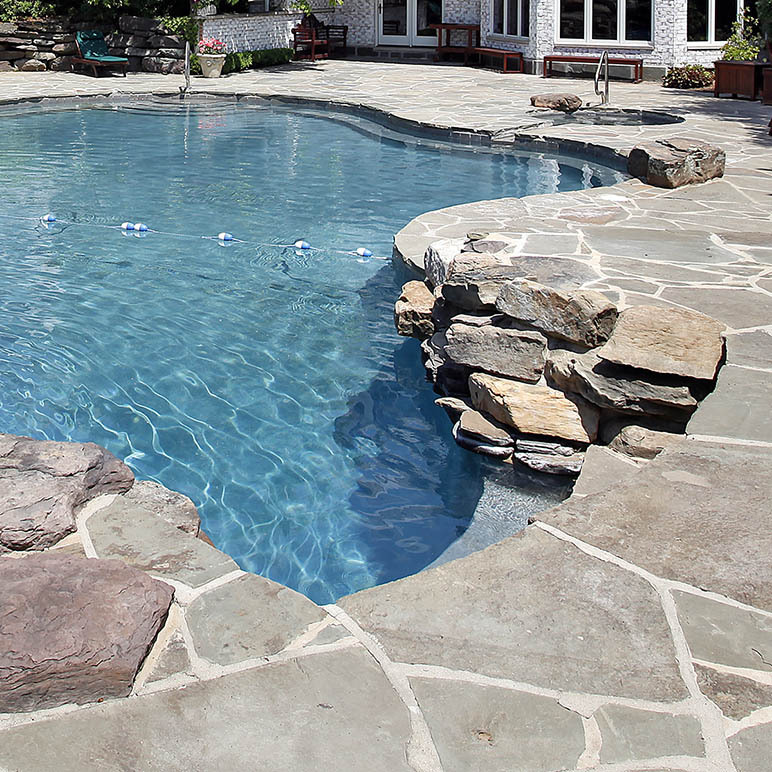 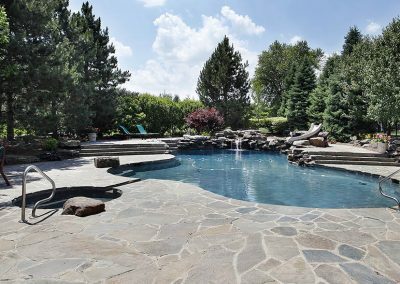 Flagstone is often used around swimming pools and spas. 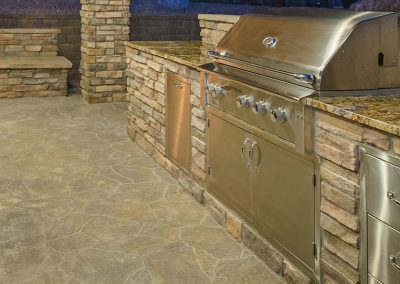 Its grippy texture and durable surface will hold up to any family at play. 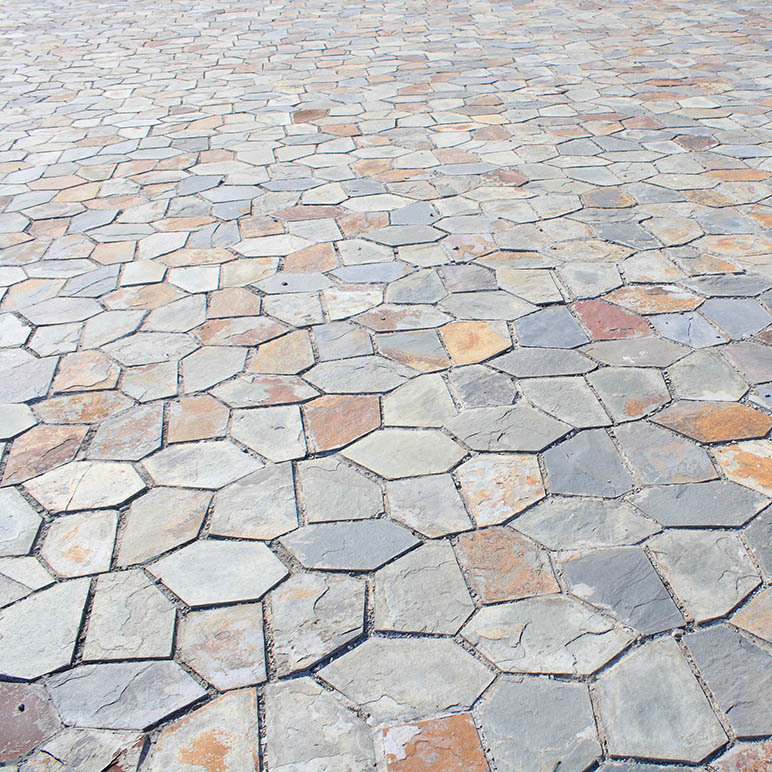 Its wide variety of color choices make it a perfect pairing to any home style. 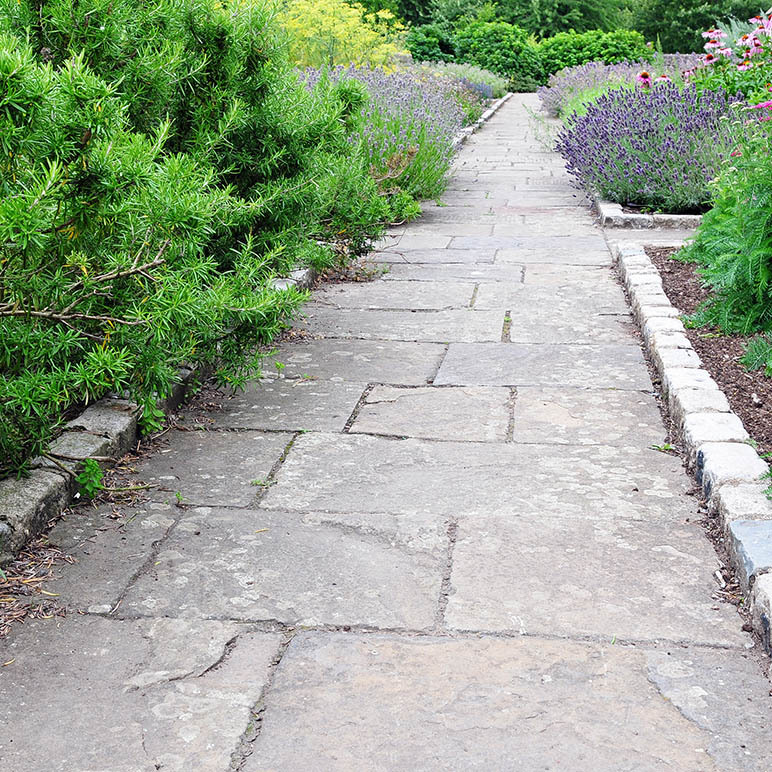 Already flat in shape, flagstone is a near perfect material for elevating pathways and walls. 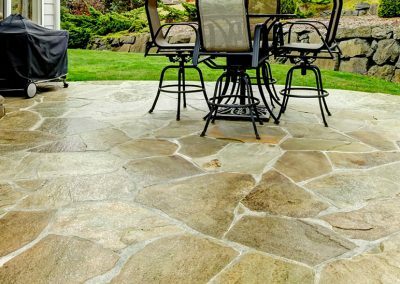 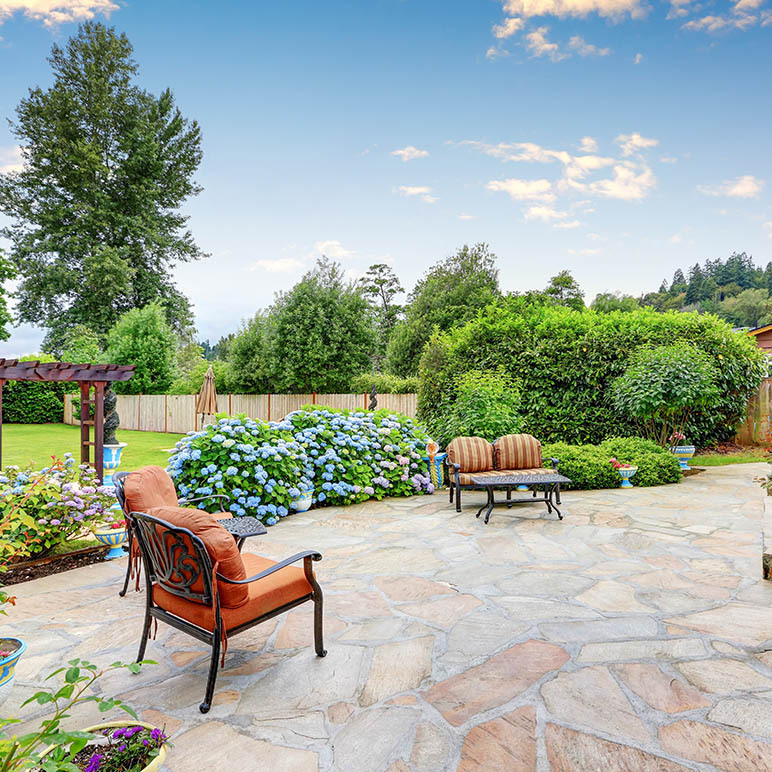 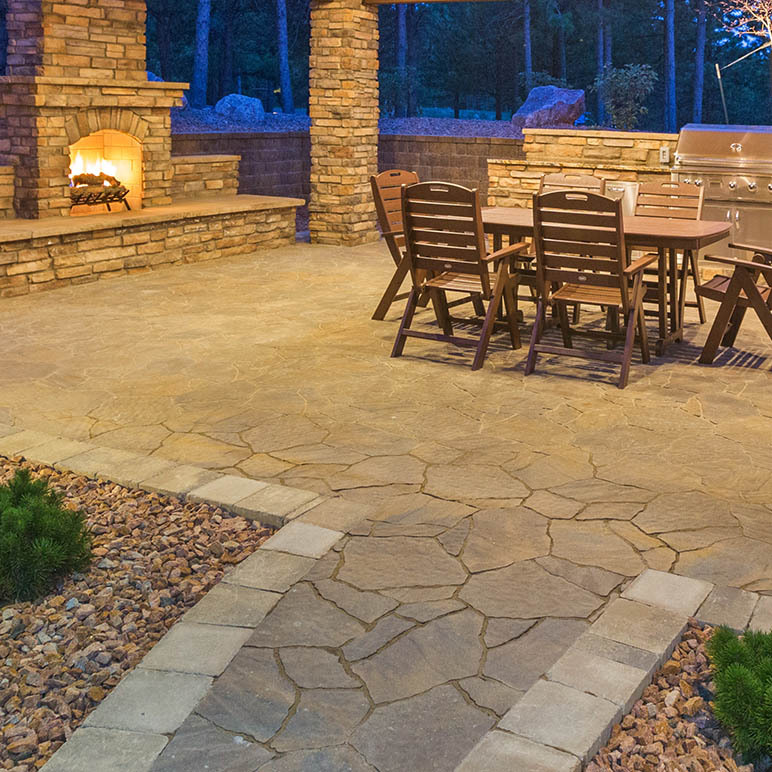 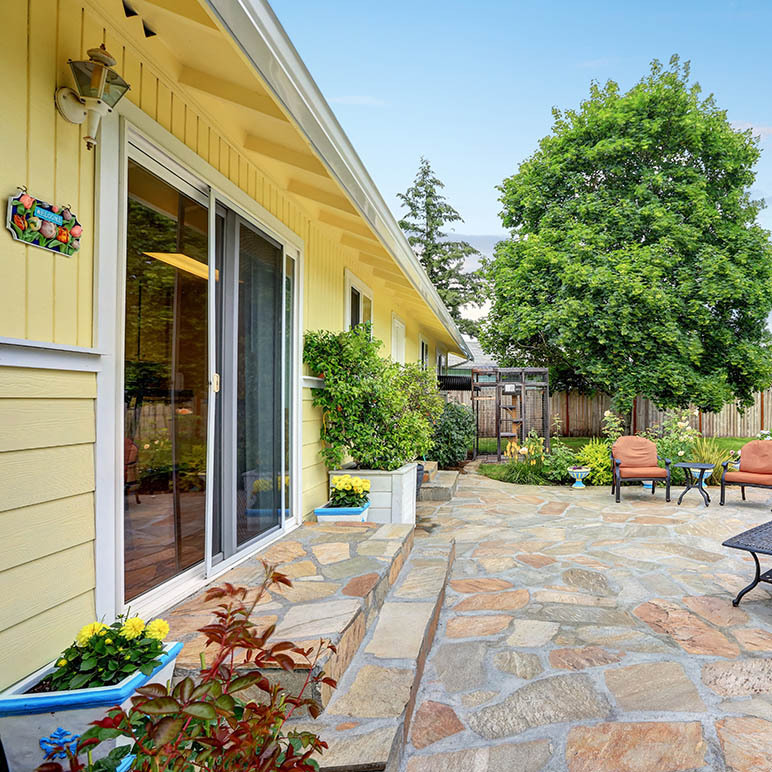 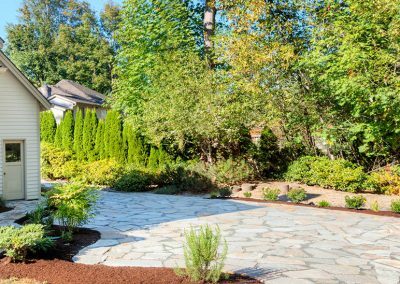 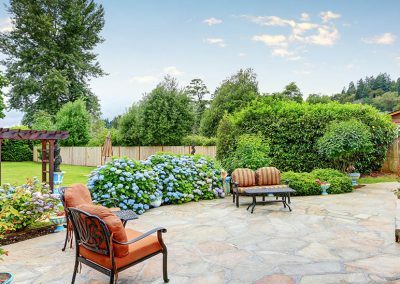 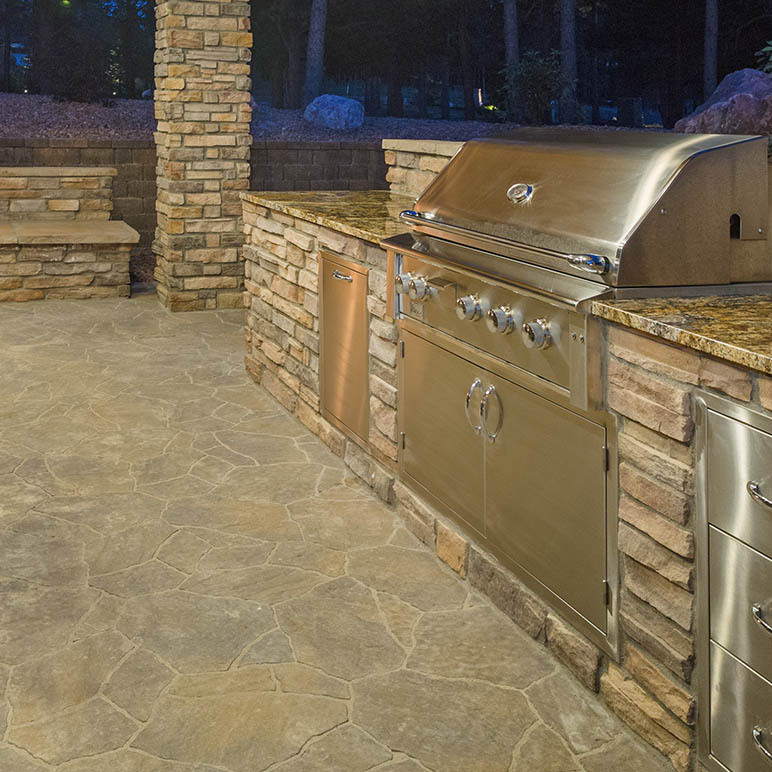 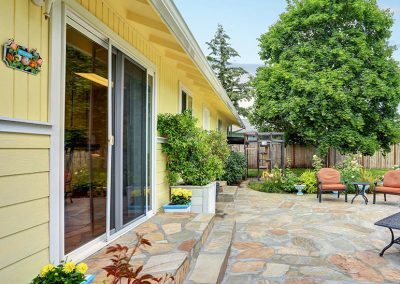 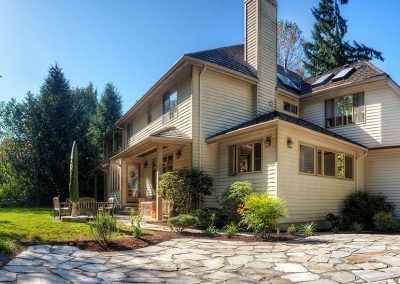 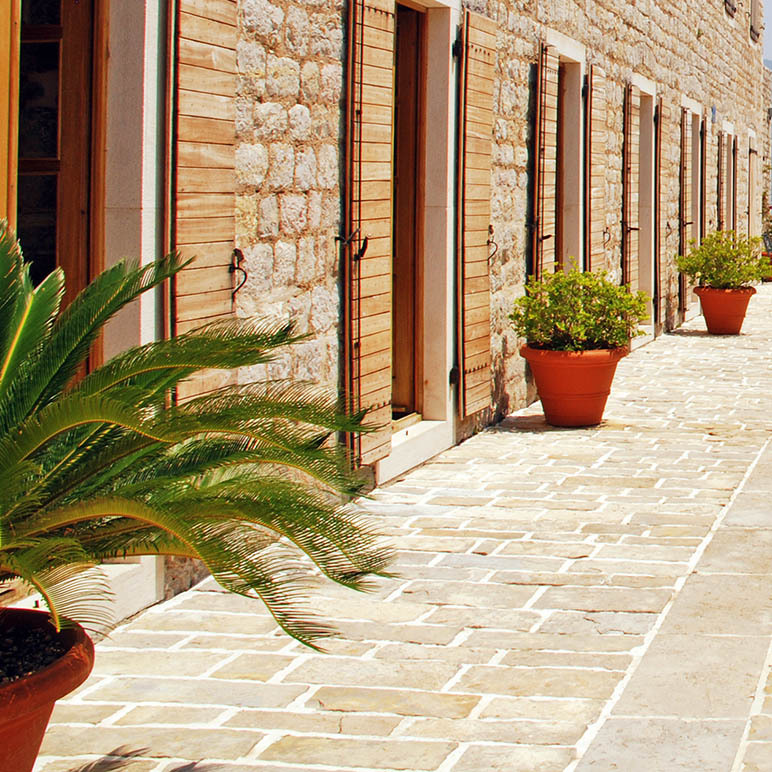 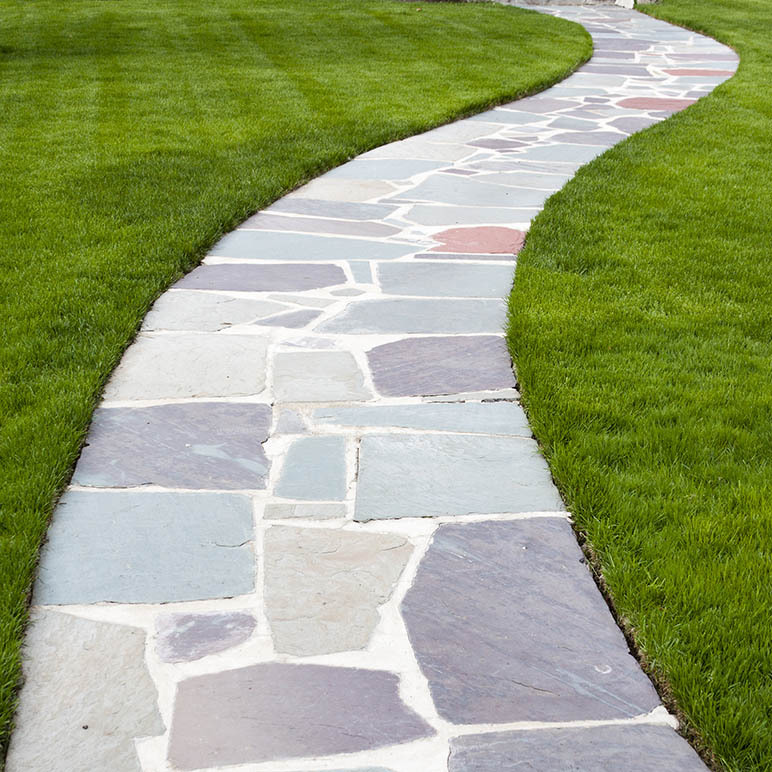 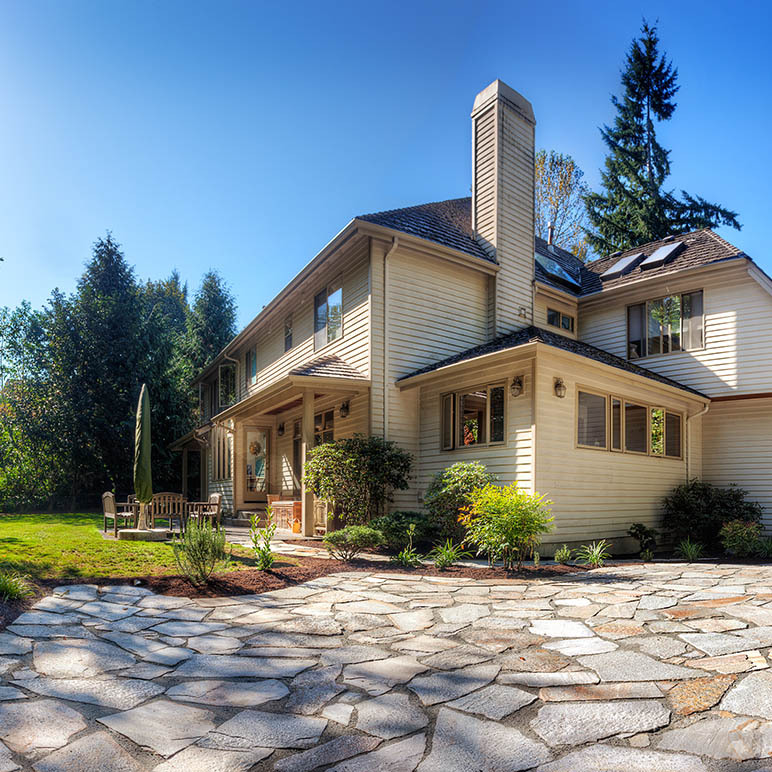 There are many types of flagstone and we’ve listed just a few of the benefits below.